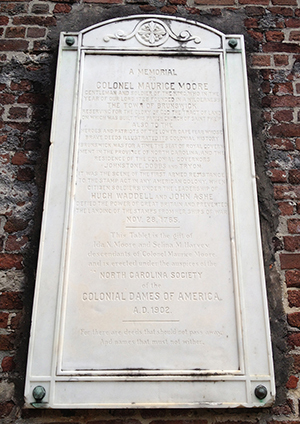 Marker in memory of Colonel Maurice Moore who founded the Town of Brunswick in 1725, located on the east wall of the ruins of St. Philip's Church. 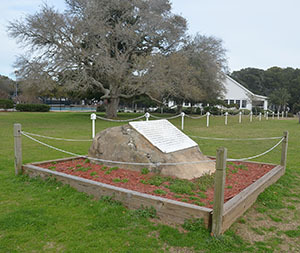 Tablet placed in Southport on a boulder which is part of the original fortification of Fort Johnston, the first fort in the Province. 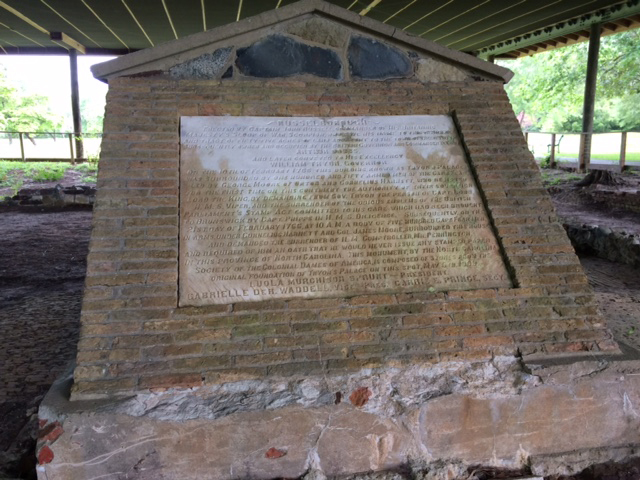 The tablet states that “on this spot the Royal Authority in the Province fell to rise not more”. 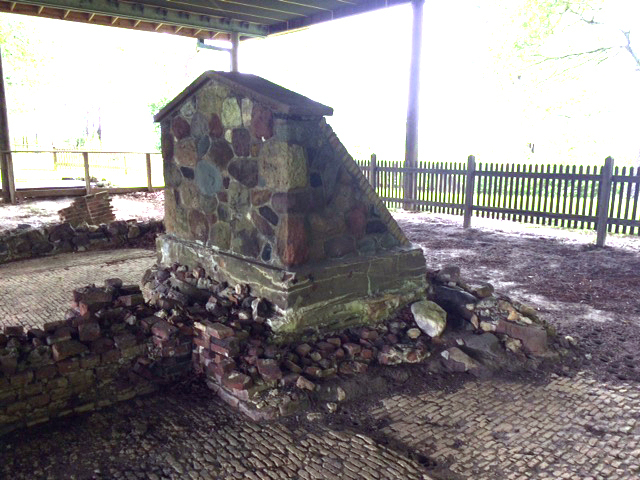 Marker commemorating the first armed resistance to the Stamp Act, installed in 1909 inside the ruins of Russellborough, a home built in 1751 by John Russell near Brunswick Town. 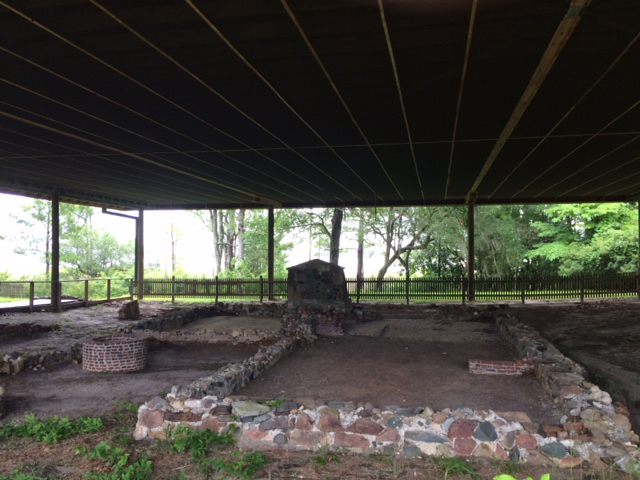 The home was later called Castle Dobbs, when owned by Royal Governor Arthur Dobbs and Castle Tryon, when subsequently owned by Royal Governor William Tryon. Made of Dutch brick and imported stone.